> The Yellow Black Racer is back. 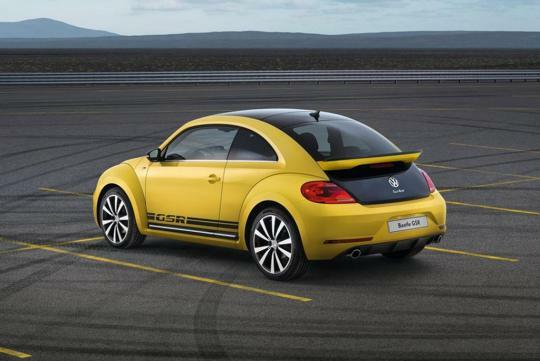 The new Volkswagen Beetle GSR. The Yellow Black Racer is back. The new Volkswagen Beetle GSR. During the early 1970s, Volkswagen released a special edition Beetle known as the Beetle GSR. 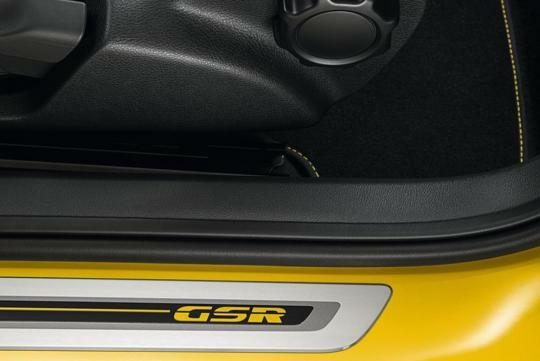 The GSR moniker is short for Gelb Schwarzer Renner which is German for yellow black racer. The original Volkswagen Beetle GSR was built in limited numbers; 3,500 units were manufactured and they were only available for the German market. It was such a huge hit that it was sold out within two months. Volkswagen is bringing back the yellow black racer for 2014 and just like before, only 3,500 units will be built but this time it will be made available worldwide. 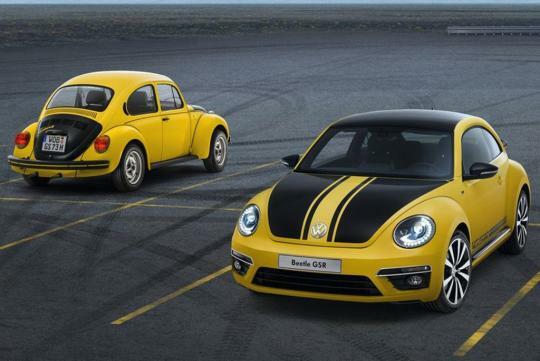 The GSR will be one of the fastest Beetle Volkswagen ever built. It will be fitted with a 2.0-litre turbocharged engine that delivers around 210bhp and a torque value of 280Nm. The Beetle GSR completes the 0-100km/h timing in 6.6 seconds and has an electronically limited top speed of 130 mph (209km/h). 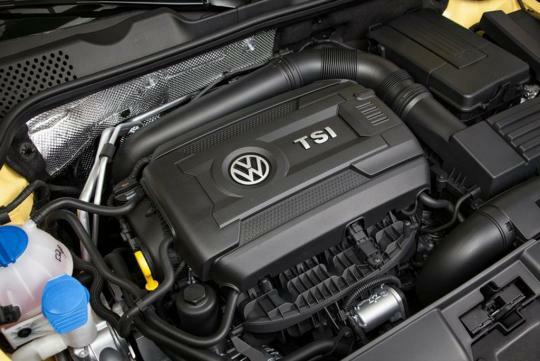 The engine is said to be the same unit that will be featured in the Beetle Turbo and the Jetta GLI. 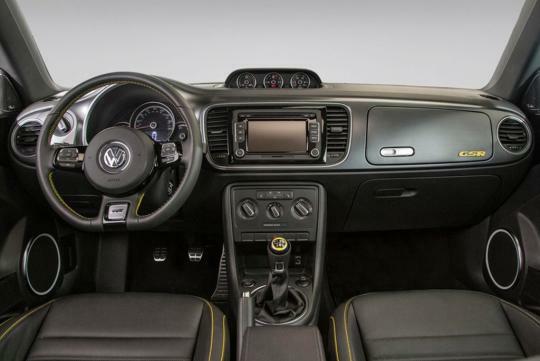 The Beetle GSR features a unique black and yellow colour scheme, both exterior and interior. The car receives the Beetle's R-Line bodykit and it is fitted with 19" aluminium-alloy wheels which are wrapped with 235/40 tyres. The brake callipers are painted in black to accentuate the colour scheme. In the interior department, the seats and steering wheel are upholstered in black leather and stitched with contrasting yellow thread. The Beetle GSR is based on the Beetle Turbo with Sunroof and Sound model. It receives a comprehensive list of equipment such as a Fender audio system, xenon headlights, Bluetooth connectivity and a start push button. 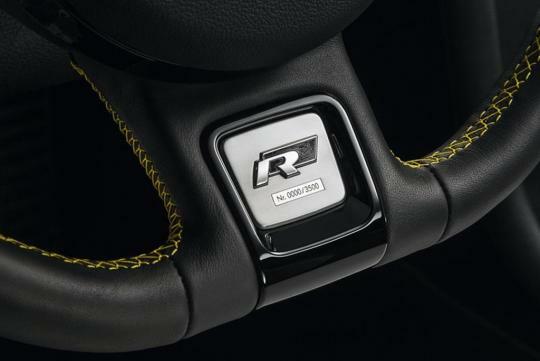 A limited edition number badge is situated at the bottom of the steering wheel (1 to 3500). The Volkswagen Beetle GSR was recently showcased at the Chicago Auto Show and the company will include it in its 2014 model line-up. 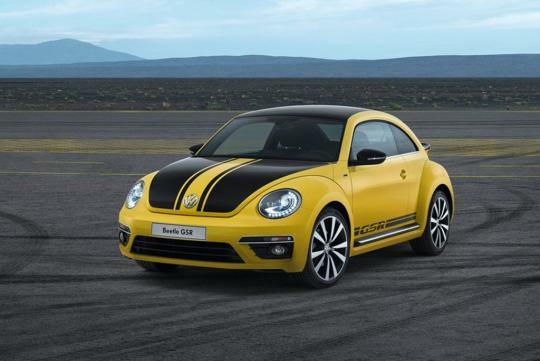 If Volkswagon ever let Hasbro reuse the beetle for their Bumblebee transformer toy, this will be how it will look like. so same meaning ? don't think the evo are yellow though.